Sit back on your chaise, close your eyes, and relax in the summer breezes. 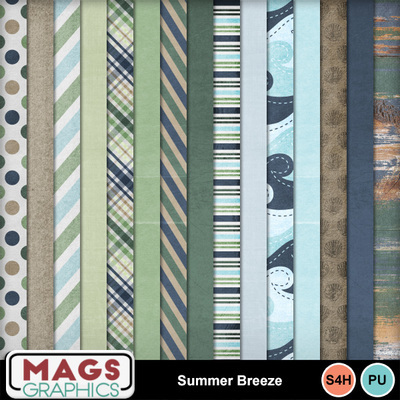 This tranquil kit will be the perfect match to your beach or vacation photos. This KIT contains 15 papers and 27 elements.